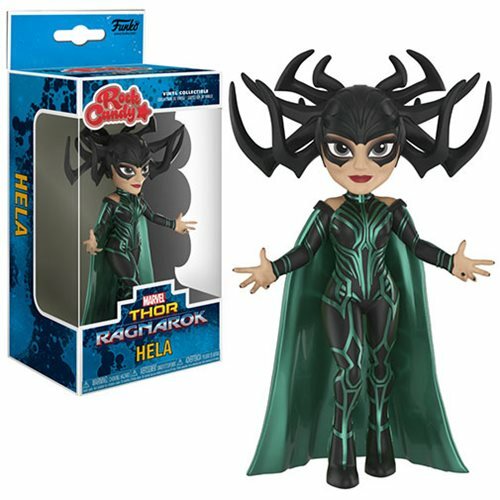 The 2017 superhero film Thor: Ragnarok is the inspiration for this fantastic Thor: Ragnarok Hela Rock Candy Vinyl Figure featuring Odin's nasty firstborn child in a more manageable and adorable form. She stands about 5-inches tall. Ages 3 and up.